The Youtube OpenMarketingTV channel was founded to be an audiovisual bookshelf for Open Marketing Foundation. 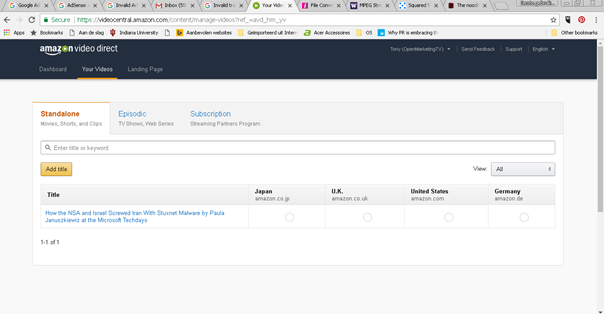 Some 30 seconds after the announcement of Amazon Video Direct, OpenMarketingTV was also registered as a Channel. 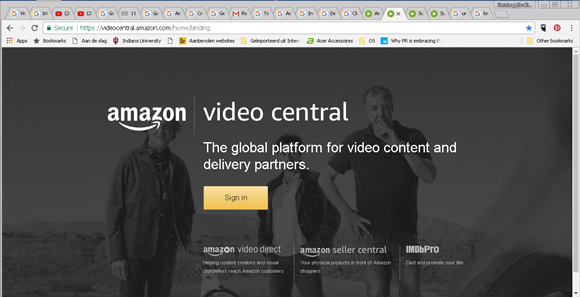 The reach of this channel is more limited, for the time being constrained to the US and UK, but aimed at high quality content. As of now several video’s are in different stages of producton. Watch this pages for new titles as they are published.